Tow bans in Worth, Cerro Gordo counties lifted at 3:30 p.m.
Let’s hope you have a working shovel or a snow blower filled with gas. Odds are, if you live in north Iowa and into southern Minnesota you need one or the other. A massive winter storm made its way through the area Friday night into Saturday, leaving more than a foot of snow in its path. Mason City finished with 17.5 inches. Clear Lake, Rockford and Garner received 16 inches. Albert Lea in southern Minnesota registered 10 inches of snow. Sgt. 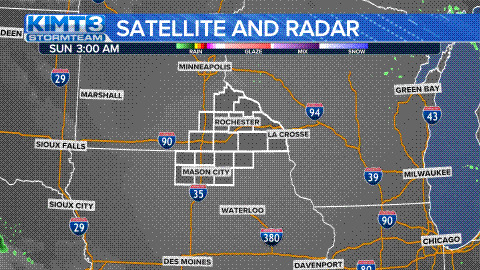 Dana Knutson with the Iowa State Patrol said tow bans were lifted in Worth and Cerro Gordo Counties at 3:30 p.m.
Those bans went into effect around 1 a.m.
RELATED: Tow bans, power outages and travel limitations in much of area.